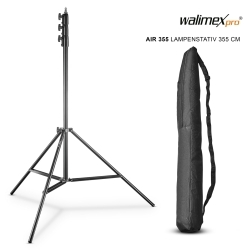 The walimex pro Lamp Tripod AIR is a high-quality solution for studio photographers. 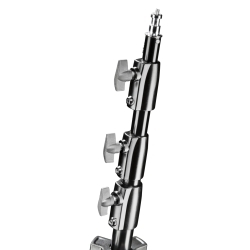 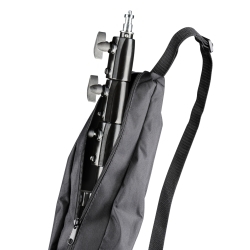 The well-built tripod is portable and can be used flexibly at a net weight of approx. 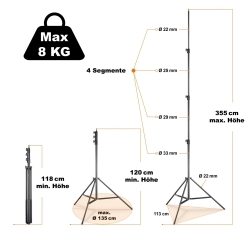 2,15kg and a transport length of approx. 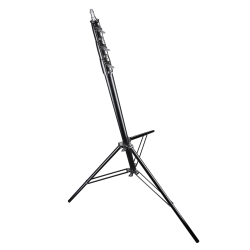 120cm. 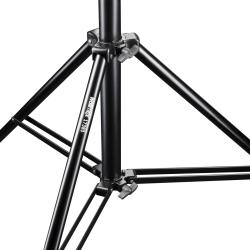 On the tripod, you can use studio flashes or reflectors up to a weight of 8kg. 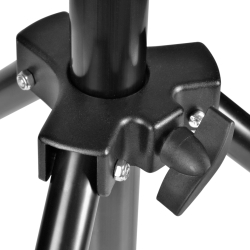 The air cushioning is the special feature on this tripod, because it provides the necessary safety when lowering the individual elements. 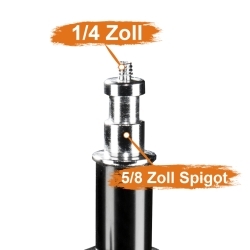 With the standard 5/8 inch spigot connection with a 1/4 inch thread the studio tripod is suited for all common studio lights and flashes.